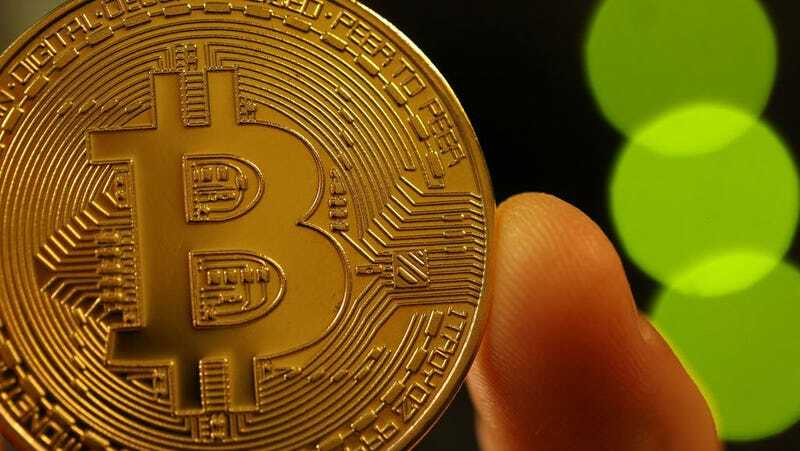 Bitcoin managed to set a new price record on Sunday, briefly hitting $11,826 per coin. And governments around the world are taking note of the boom in divergent ways. In the European Union, a new plan is expected to regulate cryptocurrencies under the same anti-money laundering laws as fiat money. It’s expected to take effect sometime next year. [Britain’s] Treasury plans to regulate bitcoin and other cryptocurrencies to bring them in line with anti-money laundering and counter-terrorism financial legislation. Traders will be forced to disclose their identities, ending the anonymity that has made the currency attractive for drug dealing and other illegal activities. Under the EU-wide plan, online platforms where bitcoins are traded will be required to carry out due diligence on customers and report suspicious transactions. Last week, London’s Metropolitan Police publicly warned that drug dealers at all levels were using Bitcoin ATMs to stash their profits out of sight. How seriously these bodies pursue individual cryptocurrency users remains to be seen. It would certainly cause headaches for Bitcoin and alt-coin users because anonymity is one of the most attractive features of cryptocurrency. But the fact is, with Bitcoin and variations like Monero, if a user wants to be anonymous, there’s little that a government can do to stop them. Regulating exchanges will be easier, but if someone wants to bypass an exchange, they could certainly do so. Still, criminalizing the use of cryptocurrencies without attaching identification would certainly be a deterrent, and individuals who don’t take every step to hide their identity could be targeted. Last week, White House Press Secretary Sarah Huckabee Sanders said that Tom Bossert and the Homeland Security team was “monitoring” cryptocurrencies. It’s unclear whether the US considers Bitcoin to be a security issue, or if the White House was just improvising an answer to a question it hadn’t really considered. But not all governments are taking the view that cryptocurrencies are a threat. For cryptocurrency evangelists, decentralized money has always been considered a potential option in countries where the people can’t trust their government to properly manage the economy. One could imagine, in theory, that an anonymous currency could help citizens get around economic sanctions and avoid the rapidly depreciating Venezuelan bolivar. But it appears that the Petro will simply be tied into Venezuela’s central bank, an untried strategy for a major country. On top of that, The Washington Post reports that a third of Venezuela’s citizens don’t have an internet connection. Throw in the fact that digital currency has a bit of a learning curve, and that there’s no infrastructure set up for taking payments, and the plan seems at least a little bit half-baked. Angel Alvarado, an opposition lawmaker and economist, told Reuters that the move has no credibility. “It’s Maduro being a clown,” he said. Speaking of clowns, Mark Zuckerberg’s former rivals the Winklevoss twins recently became Bitcoin billionaires, according to The Telegraph, as their combined $11 million investment in the cryptocurrency in 2013 is now worth 10 digits. The last thing the world needs is more dimwitted billionaires. Maybe making this all illegal isn’t such a bad idea.